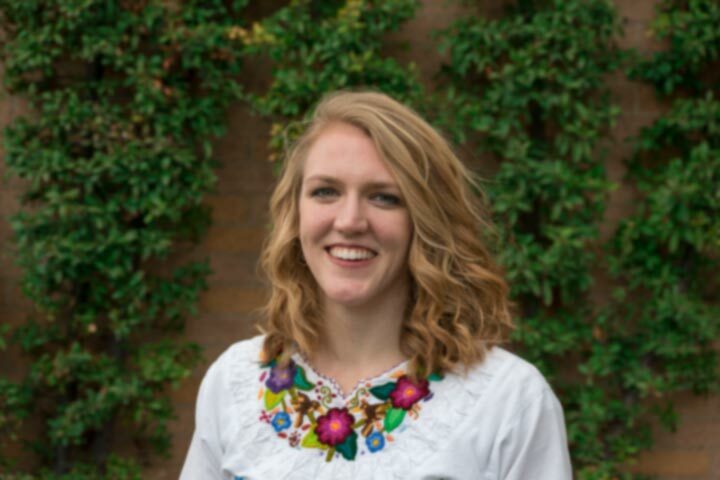 Deb is from St. George, Utah and is a graduate student at BYU studying food science. She likes to be involved and enjoys a variety of activities including art, science trivia, sports, and cooking for friends. Deb has been invested in building community and charity at BYU for those who identify as LGBTQ. Although Deb doesn’t have it “all figured out” she moves forward with hope and expectations for happiness. That’s when I undeniably knew I was gay. I was on my mission—just a couple of transfers in—and it was a particularly difficult time in my life. I felt depressed and alone, and I had a major crush on one of my mission companions—enough to finally convince myself that I was gay. A few months later I would come out to a different companion, and then my mission president, and then fall into acting on my feelings of attraction. It took a broken foot in order to have a “broken heart” ready to tell my brand new mission president what had happened between me and my companion. I grew up in St. George, Utah in a large family and had a fairly non-gay life…except for the parts that were quite gay. Such as not crushing on boys like all of the other girls did, being interested in playing sports with the boys, and helping to start an all-girls’ Boy Scouts of America Venturing crew. Or having really good friends—always girls—that I admired and would be excited to do anything with (a.k.a. crushes). Or asking myself the question “If I could marry any one of my girl friends who would it be?,” holding hands with twice as many girls as I had boys, or falling into one-way love at first sight while continuously avoiding writing anything that sounded “too gay” about her in my journal. “Totally not gay,” I told myself. “What I’m feeling must be charity,” I desperately qualified. reported back to the swooning freshman girls of my hall that “kissing must get better or else people wouldn’t do it.” I decided to break up with him a couple of weeks later because, for some reason, I realized I didn’t actually like him and I didn’t think I was going to. Later, for some reason, someone felt inclined to anonymously leave me a sticky note in my dorm room quoting from the “For the Strength of Youth”: “If you find yourself struggling with same-gender attraction…seek counsel from your parents and bishop.” Although all of that—and more—had happened, I still wasn’t completely convinced that I was gay. I was scared I was, but I wasn’t sure I was. As I prepared for my mission, I distinctly remember in one of the final pre-mission interviews being asked if I had anything else that they should know before going on a mission. The thought unexpectedly came to my mind to tell the interviewer that I was gay/attracted to women. Within less than a second I had received the idea, examined the options, and decided not to tell him. I hadn’t done anything wrong, so I knew I wasn’t unworthy, but some undisclosed pressure on myself still chose to keep that fact buried. My mission was difficult for me in ways that I hadn’t expected. I didn’t leave for a mission planning to have the worst depression of my life, new, intense anxiety, and my first “coming out” experience, but that’s the way the cookie crumbled. Quite a few months into my mission, I came out for the first time to my mission companion. Overall, it went fine (besides my piles of tears induced by my own insecurity). She encouraged me to talk to the mission president, and again, it went fine (besides feeling completely anxious and self-critical of doing or even thinking anything gay in my life). I left feeling relieved. 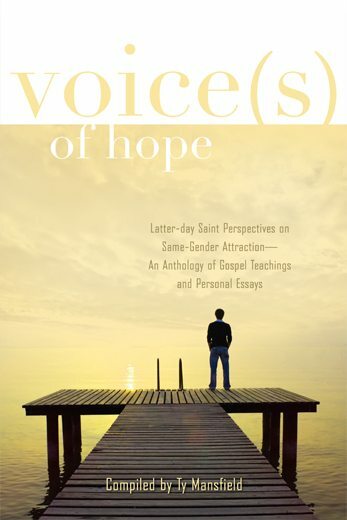 It was a few weeks later though that my biggest fear and worry of me doing anything gay actually happened—between that same missionary companion and I.
I felt trapped and alone, and when I was trying to handle the sticky situation, I had no one to talk to. I did talk with my mission companion, but that was not resolving the actual acting-on-my-feelings issue. Apart from her, I still couldn’t call other missionary friends in my mission because that was against the rules (I tried once, but since I wouldn’t tell them why I needed them to call me, they weren’t willing to break the mission rules). I wasn’t going to confide in my District Leader; even though he was good hearted, I was not anywhere near that level of trust with him, not to mention there was a language and cultural barrier there. I didn’t feel comfortable talking with my mission president because I was worried what would happen to my status as a missionary, church member, and BYU student. I also knew the mission president was a busy man, and we were not to contact him directly unless it was an emergency. Ultimately, there was no person on earth I felt comfortable enough to talk with about my situation with my companion. That’s when accidentally breaking my foot became a necessary blessing in disguise which I realized later gave me the time to talk with my Heavenly Father—the person I really needed to talk with. Although my foot conundrum was brought about by an innocent, yet clumsy, attempt to contact a stranger about the gospel, I sincerely thought breaking my foot was punishment from God for what I had done with my companion. Though, it turned out to be the pivotal step (pun completely intended) in getting back on the track where I felt peace of conscience. Shortly after the foot fracture, I was in a new area with a new companion. As I waited for my foot to heal enough to hobble around the neighborhoods, I spent my days in the houses of members. I passed most of my hours chatting with the members, reading, pondering, praying, and, of course, sleeping. The slower pace gave me the time I needed in order to listen to the Spirit and receive revelation about what needed to happen in my life. During my reading and pondering time, I came across this quote in Jesus the Christ: “Happiness leaves no bad aftertaste, it is followed by no depressing reaction; it calls for no repentance, brings no regret, entails no remorse.” The book then compares happiness with pleasure, and I realized what I had experienced with my companion was pleasure, not happiness. It took some time to decide to tell my mission president about what had happened. I was honestly so deceived, confused, and filled with justifications that telling my mission president was not an obvious decision for me. After many prayers, days of fasting, and a spiritual confirmation to tell the mission president, I decided to tell him which meant accepting any consequence of my actions. Hearing about some elders going home early from their missions for non-medical nor non-emotional reasons had seemed to me like a disgrace as a missionary. Ironically, I was going home early from my mission. I had to learn to accept weaknesses and differences in people—including myself. The first step to changing my perspective was a hefty dose of humble pie realizing that I had messed up and was home early. I ached over Facebook pictures of happily returned missionaries with posters displaying “returned with honor.” If I hadn’t returned with honor, what had I returned with? Coming home was an emotional process, but after making it through the initial six months filled with fears of making friends with women or coming in any physical contact with them, I started to be more okay with myself. What got me through those difficult months were good, patient friends who had been supporting me all along and Heavenly Father who sent me some very large tender mercies when I felt undeserving. Recognizing those tender mercies showed me that I wasn’t being punished for something wrong that I did, but that I was being supported in my efforts in coming back to the path. Although I felt some reassurance that I was not alone during a difficult time in life, I was still very emotionally fragile and unsure of myself. For years I was so afraid to make any comment in Sunday School or Relief Society that could hint to others that I could be gay. Now, I’m not so worried and would rather be a source of, in my opinion, good information—or at least a lived perspective. I have even become less afraid of coming out as gay to my friends and family; although I still totally get sweaty hands and a racing heart. Speaking of my dating life…I have gone on many dates—many of which I have done the asking—and I will have to see where that goes. I realize dating (or the lack thereof) looks different for everyone, and I don’t expect myself or others to have it already figured out for the rest of our lives. However, I plan and expect to be happy. Along with some of my greatest challenges associated with being attracted to women also comes some of my greatest strengths. I am able to connect with many people around me and love them deeply and with loyalty. I have also developed greater understanding and respect for others’ life challenges. I may not have “returned with honor” from my mission, but I did return with a greater sense of compassion and humility. I have also urged myself to think more profoundly about my role in God’s plan. I find hope in the fact that I was happy yesterday, am happy today, and will probably be happy tomorrow. I don’t know what my life looks likes as I continue my journey, but trusting that God loves me and has a plan for me brings me immeasurable comfort. I know He is in control. If I do His will, I will be led to happiness because that is His plan: happiness. Very well said, Deb. This is a surprise to me but I would have been there to support you then and I am know. The only then that makes me sad is I hope you are able to stay in the church. I know you continue to love God and recognize that he love you. That’s important. I think you may be surprised that fellow church members also want to still have you in their life and congregations. Good luck!